The Melbourne crowd was stunning! The first of two nights at Melbournes Rod Laver Arena went as expected, utterly awesome!! Over the past couple of years, the band have always found a special affection with the Melbourne fans. 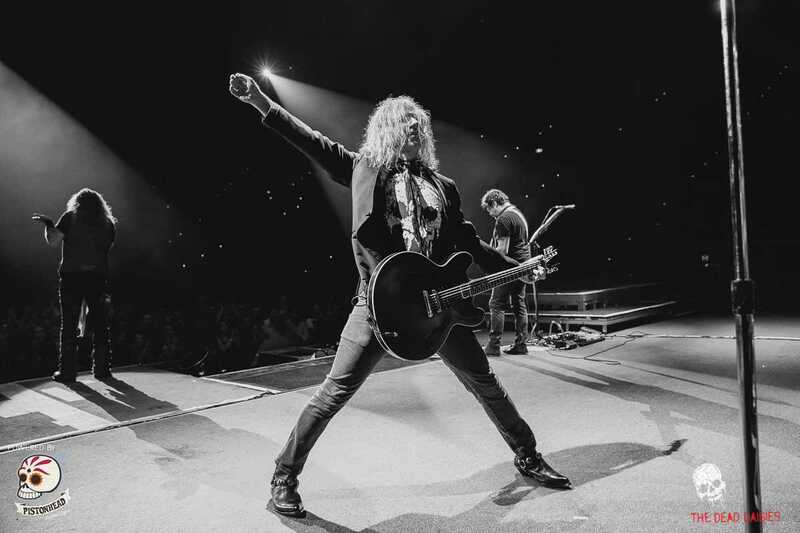 On Thursday they came out in force to support their band along with a few thousand KISS fans who joined the Daisies faithful as the whole Arena sung along to ‘Mexico’ in unison. 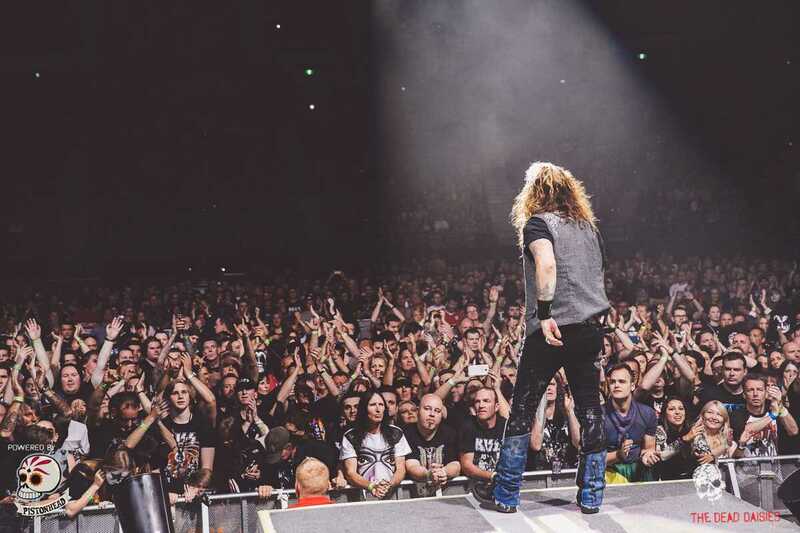 After a 45 minute set led by the ever charismatic John Corabi playing his first Daisies show in Melbourne, the band left the stage to a rapturous reception from the whole arena. Friday will see a second night in Melbourne before heading for Saturdays show in Sydney. Also on display at the arena was the Harley Davidson motorcycle that fans have the opportunity to win with a small donation to the Cancer Council. 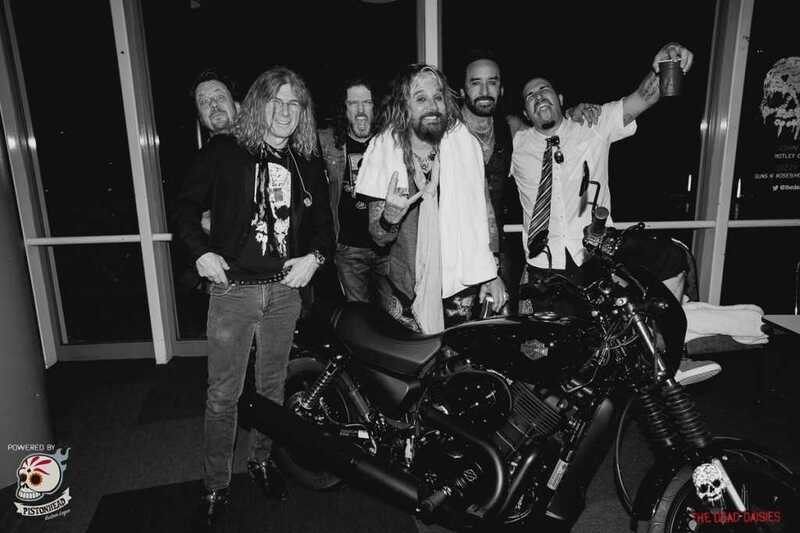 The guys posed for a picture with the bike after the show.